I made my Public Comment to WH&B Advisory Committee Meeting 9/3/15, yesterday. The will of the people was spoken! I am honored to represent a large group of people who don’t feel represented by donate button activists on either extremity of the issues, often those who scream loudest. Public speaking does not usually scare me, but I was extremely nervous addressing the board as I have become so emotionally vested. Additionally, when I made copies of my statement, a talking points outline and a propaganda letter from Protect the Harvest had been left in the hotel printer. Eeek! Because we only had three minutes to speak, (and I had SO much to say) I was up until 3 am the night before timing an abbreviated, bullet point statement to be spoken, but made sure Board Members each got copies of the full written statement which follows. The WFH&B Act was of its era and by today’s standards, badly designed. It was, and still is an emotional response based on poor science. It is my opinion that it would be in the best interest of wild horses and burros if we dispensed with ideas about wild horses being “our heritage,” “national identity” and other overly romanticized Hollywood sentimentality, and the same for certain ranchers claiming an ephemeral “right” to a lifestyle from a century or two ago. The National Academy of Sciences has given us good current, modern guidelines and its time to bring our thinking and actions into the current millennium. Yesterday Dr. Cope expressed forward thinking ideas about building coalition among stakeholders. There was discussion about training volunteers in various capacities and there are specific categories for BLM volunteers on the website, such as compliance, adoptions, etc. yet by and large this is not happening. The pool of people who would be willing to volunteer, especially in those labor intensive positions of data collection, game photo screening, compliance checking, is an enormous resource seemingly overlooked by BLM. People typically cannot get a phone call returned and there seems to be little to no will to use this resource. This complaint was made to me repeatedly as I’ve traveled the country. Which is not to negate states such as Colorado, Oregon and Montana that have built effective coalitions with local advocates and horse associations cataloging horses and darting with PZP. However, they are not being used to do citizen science, which has proven to sometimes be more accurate and effective than academic science because of time and proximity. Scott Fluer yesterday stated the difficulty of collecting data except June through August. Citizen science can fill that gap. With all due respect, there are people out on the HMAs who know more about the horses and the resource on the HMA than the Specialists assigned to them. Which is understandable due to the sheer man-hours involved. I believe the Ft. Lewis Field Office for example, has one WH&B Specialist who overseas twenty- eight (28) HMAs. Yesterday I was impressed by and commend Holle’ Hooks’ work promoting and educating about wild horses. The efforts being extended in Oklahoma could and should be happening nation wide. Again, volunteers could be used to fill in the man-hours BLM claims not to have the staff or budget for. The adoption program web presence needs a major overhaul and a uniform database. Navigation on the current multiple web pages is archaic and ridiculously difficult. 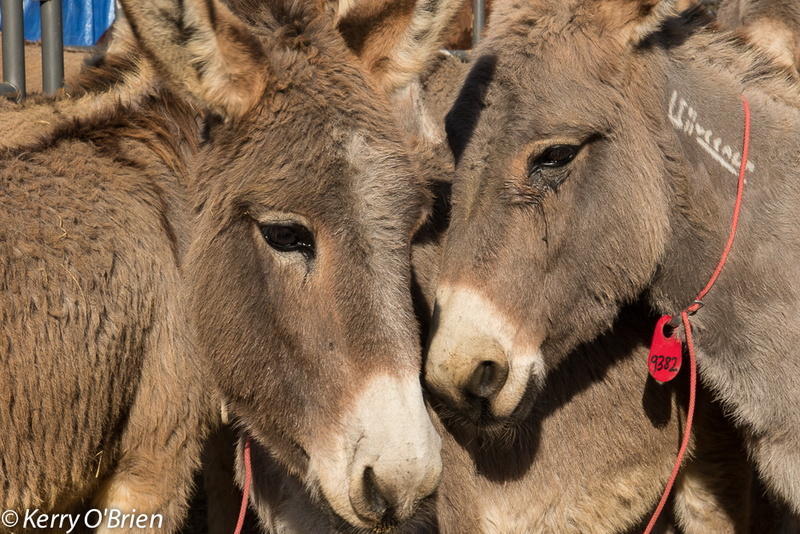 All the horses in BLM’s care are documented and in an existing database. Use that. Get each facility inventory detail on line and updated every two to four weeks so folks can see what the facilities have. Ramp up adoption program with volunteers and lower grade positions to help facilities promote and deal with public inquiries. Use multi platform, multi media outlets. The Oklahoma work can be used as a model. The elephant in the room of course is the numbers issue. This is not my suggestion, but distilled from many hours of discussion with people on all sides, who have much more experience than I. Remove and put up for adoption all horses under age 4 (except nursing foals of course). FOLLOW THROUGH with PZP treatmentThis will not zero the herd, but will allow for some genetic contribution after numbers are stabilized. The point was made yesterday that while grants for more permanent solutions are fine, these are the tools in the toolbox NOW. USE THEM. DON’T WAIT! The most important element is FOLLOW THROUGH. If there is no follow through with PZP, the past will just repeat itself. I support the above actions with the understanding that healthy genetics shall be maintained. What I realized during my “tour” of the Fish Creek HMA with the Eureka County Natural Resources Advisory Committee is how deeply trust has been broken trust with the locals. Straight, “top down” administration is a remnant of the past. In order for contraception programs to work, it needs the support of the local community. Who better to tally observation of wild horses than the ranchers and miners who work the land every day, when the field office may be 150 miles away? Nevada and Wyoming pose particularly difficult challenges in both distance and sheer numbers of horses. Trust building in those communities, so that they feel they are part of the process would be good for horses. And people. And be more in line with how we need to live in our present world. That comes back to Dr. Cope’s comments on stakeholder coalition. I applaud the Board’s efforts to create humane handling and gather regulations, however it concerns me that there is no protocol for enforcement. Regulations need teeth. I suggest monetary and/or other real consequences for disregard of humane handling regulations and that they actually be enforced. Otherwise it’s business as usual. I think we are all in agreement that we are in crisis as far as numbers go. Banning slaughter for horses in the US has not been good for horses. Though I am not pro- slaughter, I expect we will see it reinstated in the US in the next few years. 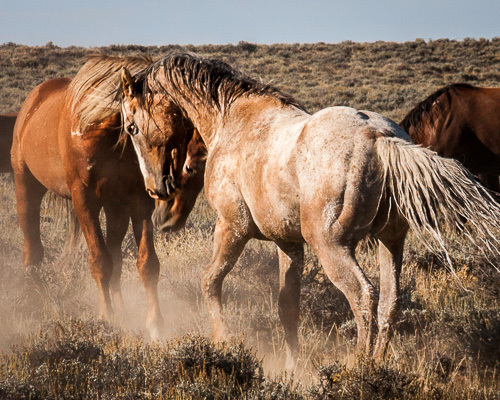 The best thing we can do for wild horses is to stabilize populations. The best thing we can do for horses, when and if it comes, is ensure that highly humane standards are strictly enforced. The thing that has negatively impressed me the most is the dysfunction within the bureaucracy itself. The disconnect between ground level specialists, mid level bureaucrats and upper level politicians is not serving some of BLM’s hardest working people, or the horses and citizens they serve. Mr. Tupper asked us to remember that BLM is an organization of 10,000 people and responds slowly. Horses are not slow. I’m not a bureaucrat, so I don’t know the answer to this one. I do know that for people to do good work, they need to feel supported by their organization which often isn’t happening. BLM simply following its own regulations and creating an atmosphere of consistency would go far, all the way around. Lastly, I don’t know how at this point in time this can be of use; I would ask that the historical migratory habits of horses before the Act be considered in eventually redrawing some HMA lines. I understand this takes a change in land use and EIS and all of that. But wild (or free-roaming!) horses were not meant to be kept in small herds of 50-100, unable to move with the seasons. Many of the problems we are constantly trying to solve, and solutions we are trying to manipulate are issues of migratory land use. In a perfect world fences would be down and the ranchers who want to have their romantic lifestyle would hire a few cowboys to move their cows around instead. Maybe Alan Savory is right. I’m a photographer, writer, behaviorist and educator on sabbatical for a year, traveling and documenting the issues facing wild horses. I have been doing my best to listen fairly to everyone I’ve met. I attended most of the Checkerboard gathers last year, the Elko RAC meeting, spent time with Dr. Kirkpatrick, Neda DeMayo and Laura Leigh. In touch with Canon City, I watched “my” Checkerboard horses come off the truck in Marshall, NC. Photographed an adoption event in FL. Spent time with TIP trainers, PZP darters, WH&B Specialists, Range Cons, a Savory Method rancher in NV, documented the Colorado EMM and visited numerous HMAs, adopters, would be adopters, volunteers and would be volunteers, ranchers, miners and just plain citizens. I asked questions, observed and listened. The above is just some of what I heard. 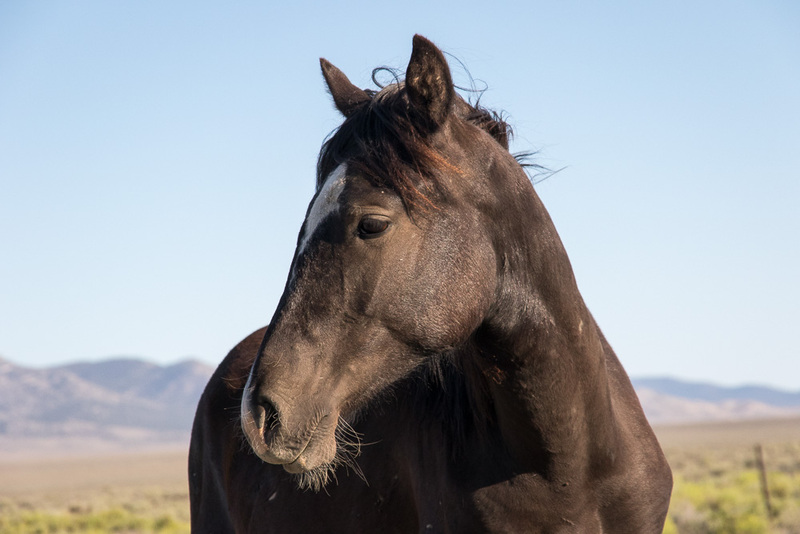 While these comments may not offer anything new, they reflect the views and experience of many good people who are committed to wild horses and I am honored to bring them to this meeting. There is no Donate button on my website. I simply parse technical information for people in order to educate and dispel hysteria. My own mustangs are chosen and I hope to have the resources to bring them home some day soon. Thank you for your time. Keep up the good work. That was mind-blowingly brilliant. One of the best most thoughtful and exemplary public comments I have ever read and had the pleasure to intellectually and emotionally digest. Changing the world one word at a time. Salt Wells Creek Mustang Shiloh Comes Home!